Think about the ideal work situation for a moment. Close your eyes if you have to. 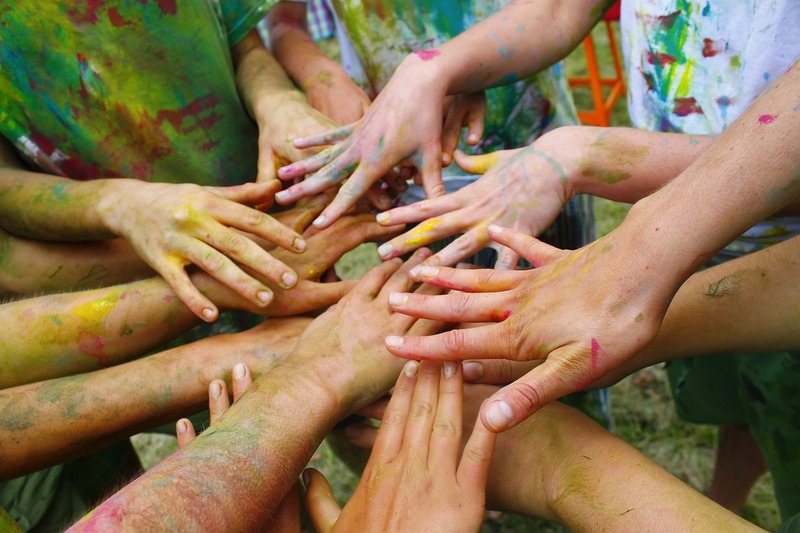 You are probably imagining a team made up of…not co-workers, but friends, who are easy get along with each day. I bet you are envisioning a group of talented individuals who have a diverse skill set, and still manage to work quickly, complete projects on time, and exceed expectations. Above all, you may see a team that has communication down pat. After all, when you look objectively at problems in the workplace, team communication, or a lack thereof, is almost always to blame. If you understand the importance of enhancing team communication but find it’s lacking, don’t despair. First of all, you are not alone. In fact, nearly 75% of employers rate collaboration and teamwork as “very important,” yet only 18% of employees actually get communication evaluations during their performance reviews. Secondly, it’s possible to improve team collaboration and communication skills. To help you out, here are 7 ways you can enhance communication at your firm. If, as a manager, you’re looking to increase communication, the fastest way to do that is to establish an open door policy. This means letting your team know you are open to discussing work projects, goals, and anything else at any time. How are your team members supposed to get answers to questions if they can’t find you or if they don’t dare interrupt you because your door is closed. When your door is open, it communicates the “come on in” vibe, and puts your employees at ease. Additionally, keeping your door open sends a message of transparency. It’s difficult to talk about other employees, hide the details of your work day, and/or keep things secret when your door is open. Keep your door open and you’ll find you are building relationships of trust on the regular. Sometimes employees can wait for 2-3 days when you have a spare moment to answer a question. Other times, they need an answer within 30 seconds. Keep your door open and communicate to your employees that they can come in and ask urgent questions as needed. Bosses that are easy to talk to are bosses that are proximal and actively engaged with their employees. Just think of how much easier it is for your team to approach you when you physically make it easy for them to approach you. Similarly, when you are close to them, it makes it easier for you to drop in on them for questions, reviews, or friendly chats. Do yourself a favor and establish an open door policy. If that doesn’t include actually leaving your door open, it may be time to reevaluate that decision. If your team is remote, consider an “open Skype” policy, or “open Slack” policy. You should also embrace employee recognition as a way to appreciate your staff and increase engagement. It will greatly serve you and your firm to write “there are no stupid questions” into your company values. Why? Because when your employees aren’t afraid to ask questions, it means they aren’t afraid to get clarification on important details that may make or break a corporate deal, client relationship, or successful completion of a project. Now, writing “there are no stupid questions” into your policy manual and repeating it during onboarding will help, but as a boss, you have to support this value. Here are some ways to do that. After you have presented a new project to your team, simply ask your employees if they have any questions. You may be surprised how willing your team members are to offer up questions of clarification you never even thought to address. Are your employees slouching down in their chairs? Are they frowning? Are they looking at each other with exasperation? If your team is giving off weird vibes after a meeting, it’s probably because they don’t have the full picture of what is supposed to happen once the meeting breaks up. Instead of dismissing them once you’ve said your piece, look around to see how your team members are reacting, and then ask what questions they have, and/or what you can do to make things more clear. When your company values employees asking questions, you’ll find miscommunications decrease dramatically. Sometimes even teams of 5-6 people have communication problems. Imagine you have a team of 100+ individuals working towards a common goal. Now imagine some of these team members are in the office, others are at home, some are in your city, and others are in a completely different state or country. This may seem wild, but the New York Times reports that as of 2016, at least 47% of people reported working remotely at least part of the time. Working remotely definitely has its benefits, but it also has its challenges, and one of them is communication. If most of your team members are in different time zones, then a good communication practice is something that you’d consider most of the time. To simplify your life, it’s important to invest in technology that makes communication easier. 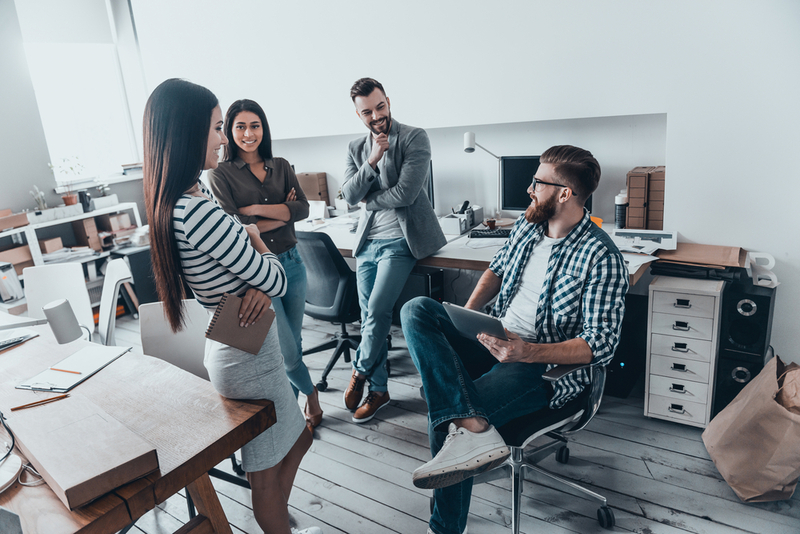 Here are some of the top types of software to invest in that will enhance team communication in ways you never thought possible. It takes a lot of work from a lot of people to complete projects. To help sort out the details and make sure everyone is on the same page, invest in a popular project management software like Asana, Basecamp, or Trello. Sometimes you need everyone on your team on a call or video conference to effectively communicate your message. For this, there are programs like Skype, Join.Me, and GoToMeeting. Other times, you or your team members may just need a quick answer from another team member or the boss. The industry leader is Slack, but you can also opt for something like Fleep, Workzone, or even Google Hangouts. Do you need your employees to communicate when they worked on a project, when they signed in/out of work, and how long a certain project took to complete? Whatever you do, don’t send them an email and ask them. Why? Because no one remembers that. 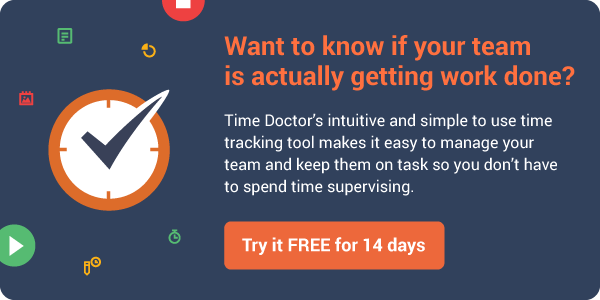 Make it easy on yourself by investing in a time tracking software like Time Doctor. Not only is it important to keep information about projects in one central location; it’s also important to keep information about clients in one central location, a location everyone on your team can access. This can save someone on your team from contacting a client when they don’t need to, misunderstanding a problem only to exacerbate it, and can help team members provide top notch service. Top CRMs include HubSpot, GreenRope, Salesforce, and Zoho. No matter the size of your team, tools that help you communicate more efficiently are a must. It’s so easy to stick to your regular policies and procedures, even when research continues to show that switching things up will prove beneficial to your company. In terms of office communication and break-time, did you know there is actually research reported by HBR that says corporations can improve team communication by setting coffee breaks? Results of this study showed that this social time could actually account for more than 50% of positive changes in communication. What does this mean? It means giving your employees more informal time to discuss work and go the extra mile by providing them good beverages. If you don’t have the time or resources to offer an informal break period every day, consider adding an extended break period to your schedule just a couple times a week. After the break, you can solicit ideas from your employees. Everyone on the team talks and listens equally. This includes keeping messages short and sweet. During a meeting, team members face one another and communicate energetically. Team members connect with everyone else on the team, not just the boss. Team members carry on side conversations or backchannel conversations with one another. Team members break periodically to explore outside of the team and bring information back. If you break this information down, things like meeting around a table, using communication tools like Slack, forming relationships outside of the meeting areas, taking breaks, and learning how to communicate effectively will all serve you. You invest in sales training, customer service training, product training, and skills training. If your team suffers from poor communication, why not take it one step further and invest in communication training? A good communications training course should cover the basics of communication, how to improve speaking skills, how to develop presentation skills, managerial skills training, and business writing, to name a few. If you don’t have an in-house corporate trainer, there are several communication experts who you can hire to come conduct a training at your office. Sometimes hiring outside experts is costly, but if the payoff is improved communication, it’s worth it. You could also include a crash course on how to maximize the use of the communication tools you already invest in. For example, if you use Asana, Slack, and Time Doctor at work, you can rest assured that most of the features are fairly intuitive. However, there are some advanced features that many of your employees may not know how to use, or have had time to look into. Take the time to show your employees how these tools work and how the features of these tools can improve corporate communication. Remember to prioritize communication training at your firm just as much as any other type of training. Sometimes the best ways to enhance team communication is to get social. And, I’m not talking allowing more access to private social media platforms. I’m talking about investing the time and money into activities and events where your team members can get to know one another on a more personal level. To help you get a better idea of why this is so important, I relay a quick personal story. I worked as a customer and service team lead for a particular company’s Russian market for six years. Every so often I would have to call the Director of Events, Tiffany, to get an urgent answer to a question about hotel bookings, passports, or qualifications. I contacted Tiffany via her corporate extension for four years, until I finally I had an opportunity to socialize with her and meet her in person. Once we met in person after going to the same office for four years, we became fast friends, and are still friends to this day. The added benefit to our meeting in person was our mutual communications became more frequent and much easier. If I needed an answer to an events question, she helped me out stat. If she needed someone to speak Russian to one of our Ukrainian distributors, she could walk over to my desk and ask me personally. No questions asked. Our friendship, made possible by a work social event, increased our ability to work together more productively. Too bad it was four years later than it should have been. You hire great employees who know how to get things done. Do yourself a favor and give them a chance to get to know each other on more personal terms so that workplace communication becomes easier. No matter if you have a team of in-house workers, remote workers, or a mix of both, good team communication is imperative to your success. If you are having trouble with communication, know that you are not alone and that there are steps you can take to improve communication in the workplace. Review the tips listed above and you’ll be well on your way to enhancing communication in the office. You may want to look into some widely used team communication tools such as R-HUB in-house & secure TurboMeeting, GoMeetNow, Zoom, GoToMeeting for communicating efficiently between remote teams.